Stock trading is simple—people makes it complicated with over-thinking and over-analysis. Add on that the fancy terms and strategies that “experts” toss around so casually and the case becomes even worse. That being said though, stock trading is simple, NOT EASY!!! Was it easy, we would be living in a country of traders (not engineers). We all romanticize with the idea of trading in a demanding work environment, courtesy of Hollywood movies (yes, we watched Wolf of Wall Street too). Calling people, yelling, making rash buying and selling decisions—and then follows big monetary benefits. Sounds cool, right? Leaving fanatical world behind, in reality, stock trading is much more about waiting with great patience. In fact, ask any successful trader and they would tell that waiting is a big part of their overall approach and that they often go days without trading. So if you’re in a quest to create a solid stock portfolio and find best trades, learning to have patience will be the key for you. One of the most common strategies, at least for the new traders, is to follow the current market trends and make decisions accordingly. While this in itself might not be wrong, reversal trading has proven to be more rewarding. Simply put, reversal is a change in direction of price trend. This could be negative or positive—uptrend turning into downtrend and vice versa. Following technical chartings of stocks’ price, the reversal traders look for mature trends that show signs of exhaustion. They anticipate the reversal to occur in a stock, which is subsequently swaying to new highs or new lows. In short, these are the traders who rely extensively on analysis to trade slight earlier than a new price trend starts. It cannot be stressed more, on a journey to become a successful trader, higher time frame levels are your best ally (4-Hour Timeframe). This, however, doesn’t mean you leave smaller frames. When entering the market, do a multi-time frame analysis to understand what is really happening on the price front and how you can bank on it optimally. 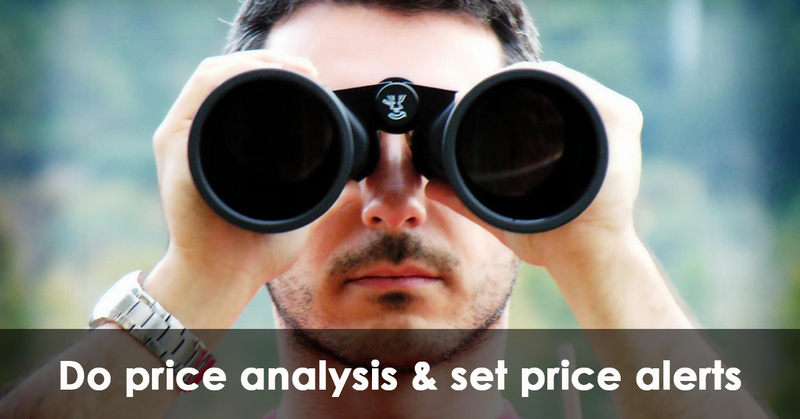 Do a thorough price analysis and set several alerts to ensure you never miss any important market moves. This will not only keep you more organized but also bring definite clarity to your strategy, as to what you need to do next and WHEN to do that. Get on the edge of your seats when price alert gets triggered. But don’t rush to trade. The alerts aren’t any signal to trade, but just a simple reminder to update your planning in view of recent moves. Take out your technical charts and start looking for reversal structures. When you get clear signals, jump on the scene and get into the trade. Trade management is an art which not many traders know. Majority gets too involved into perfecting their entries that they don’t really know what to do next when in a trade. Understand that finding entries isn’t difficult. What you need is a structured approach to prevent impulsive and emotional decision-making to any price movement. 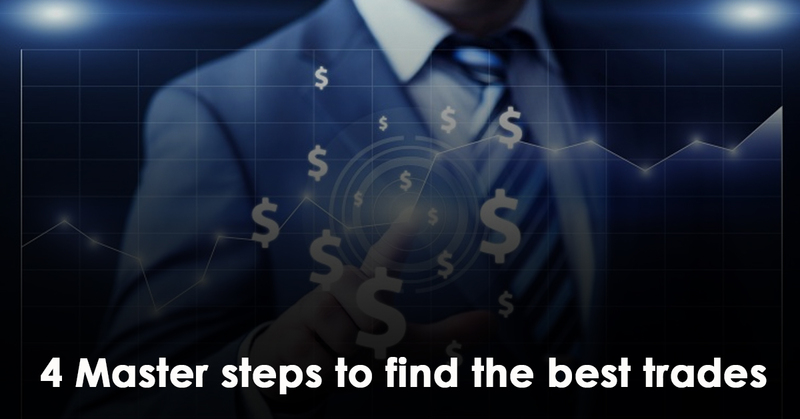 These are 4 master (and simple) steps to find the best trades. Of course, they are easier said than done. However, if you’re looking for a high-rewarding and sustainable stock portfolio, taking all the required efforts isn’t something of a mammoth task.